Dubai, UAE, August 06, 2018: This summer get your eyebrows into top shape with our easy-to-follow practical tips. Using the built-in brush on the essence eyebrow designer pencil cap, comb through your eyebrows in gentle, upward strokes. This step helps to accentuate the shape of your eyebrows and sets any stray hairs in place. Then, fill in the gaps with the essence eyebrow designer pencil. Next, using an eyebrow brush to define and frame your brows, dab on some essence eyebrow gel colour & shape to create your desired look. A little goes a long way as the gel has a pleasant, powdery finish with long-lasting results. For further definition, use the essence make me brow eyebrow gel mascara which contains tiny fibers to give you beautifully defined and full eyebrows. 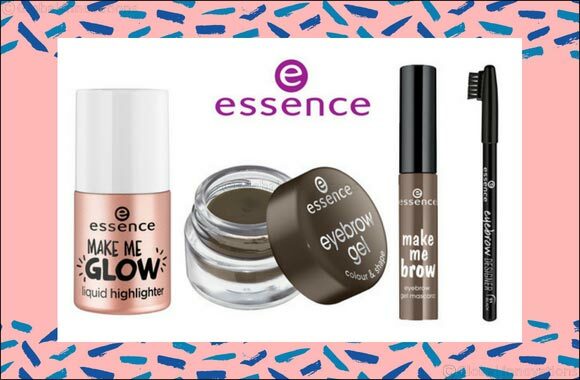 Finally, an absolute must-have, use the essence make me glow liquid highlighter under the brows to finish the look. The highlighter smoothens out any harsh lines and helps emphasize the shape of your brows. Transform your look and let your brows take the center stage this summer with this simple and easy routine.